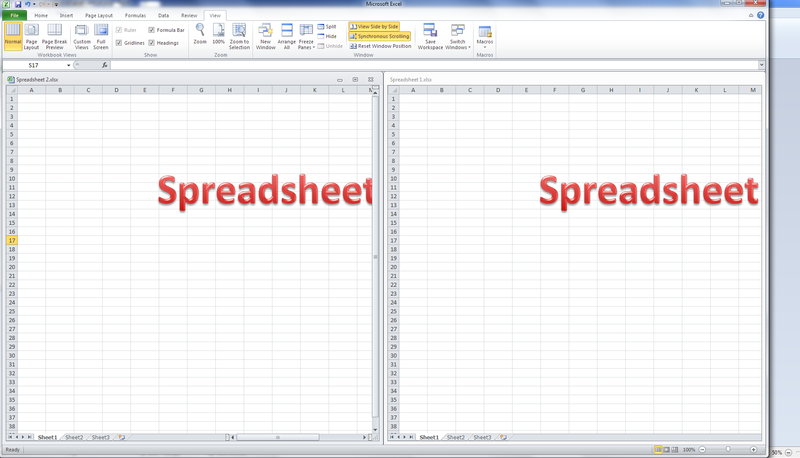 You’re looking at a spreadsheet and you want to compare it to another one. 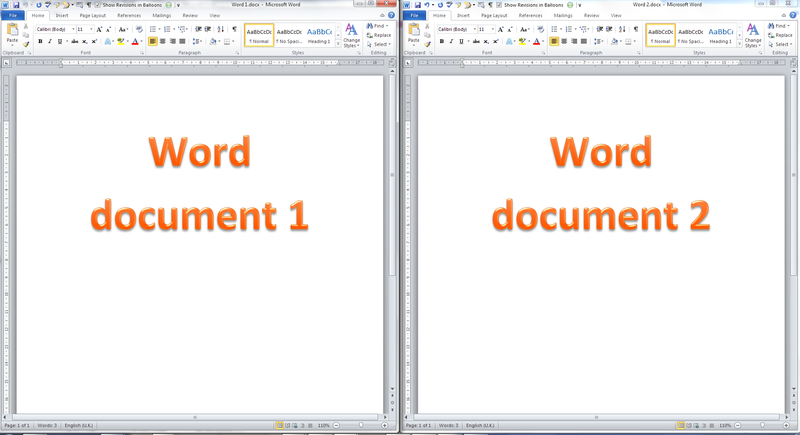 In Word, it’s easy to line up two separate documents side by side to look at them both. 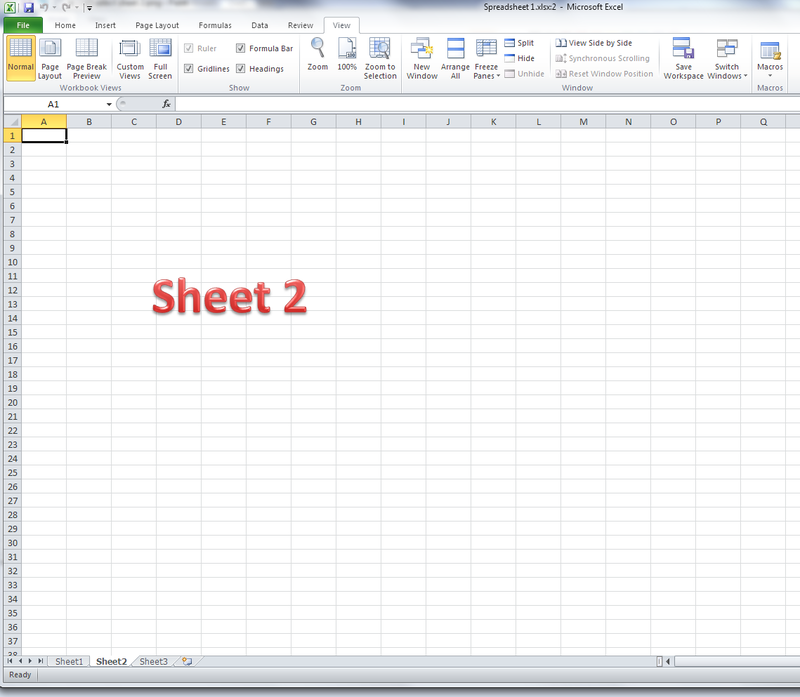 In Excel – not so easy. 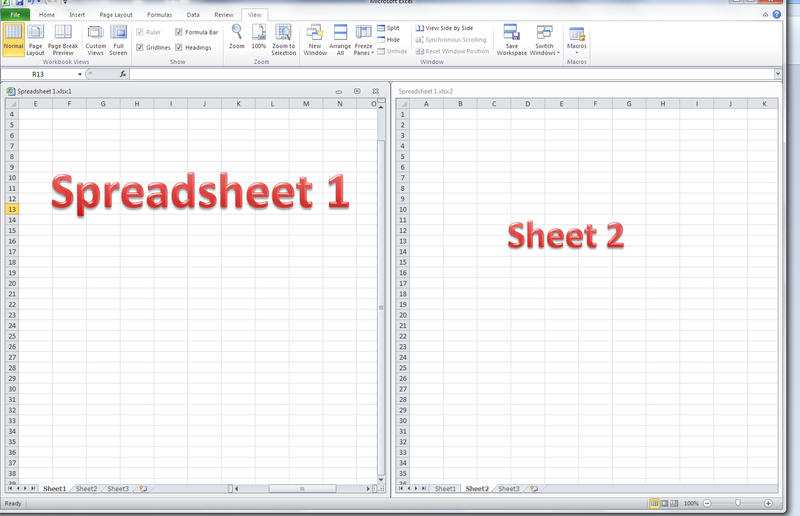 This article explains how you can view two Excel spreadsheets next to each other on your screen and compare the two spreadsheets easily (or more, if you want!). 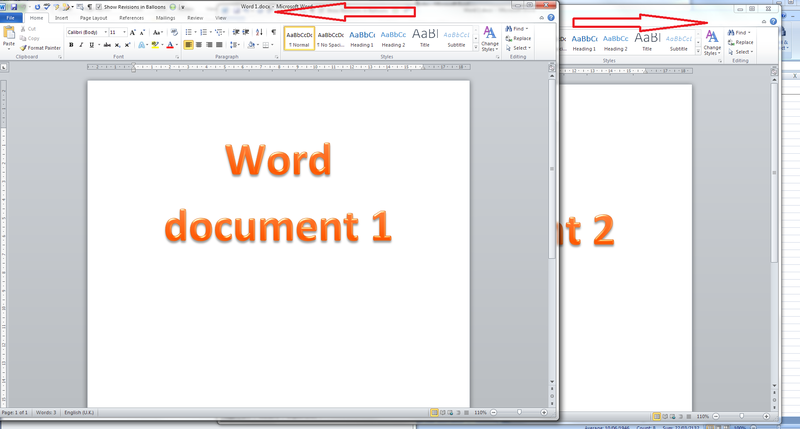 Next week, we’re looking at how to view two sheets from the same workbook side by side, too! 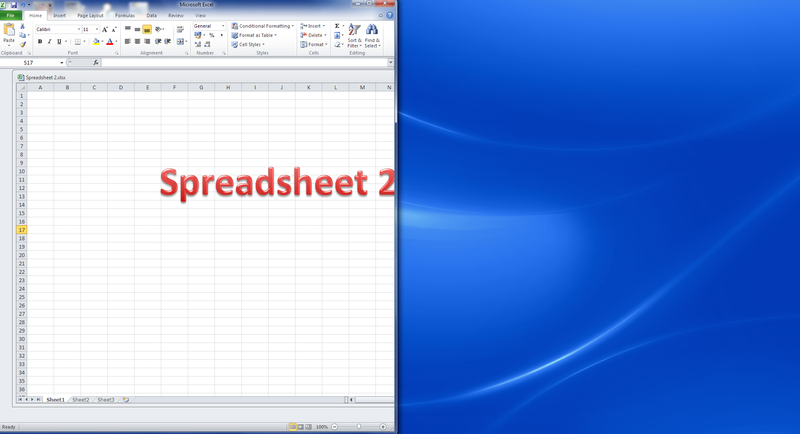 This article is valid for Excel 2007, Excel 2010 and Excel 2013 to some extent. 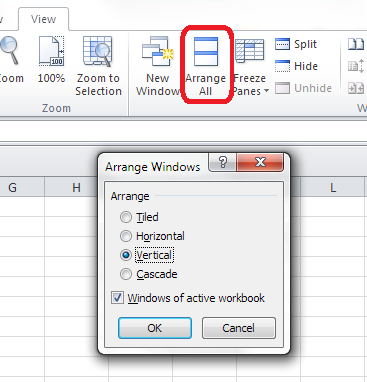 The problem doesn’t exist in Excel 2013 as you can move spreadsheets around just like you can in Word, however the options still exist for arranging your multiple views (thanks to Alison Lees for pointing out the resolution of the problem). 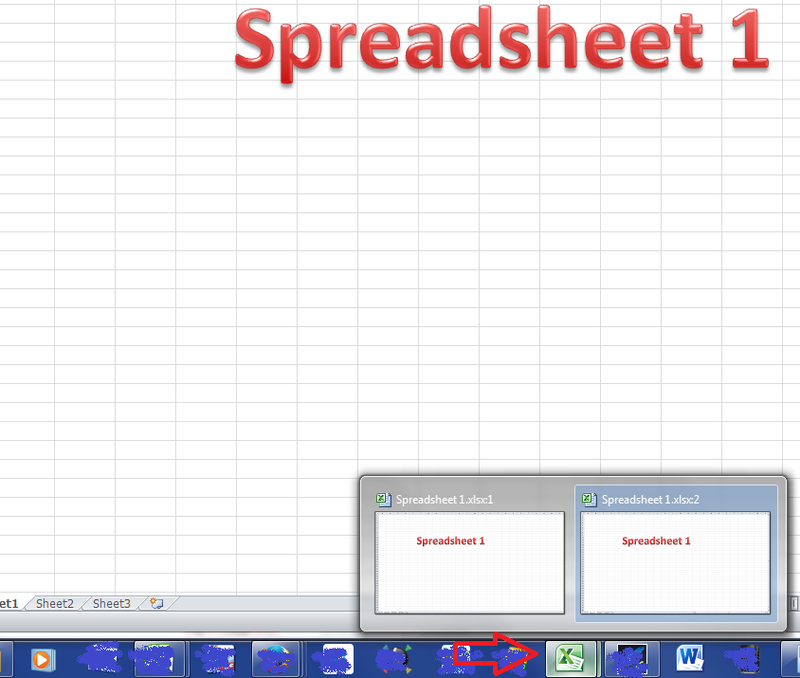 Why can’t I view two Excel files on the same screen? 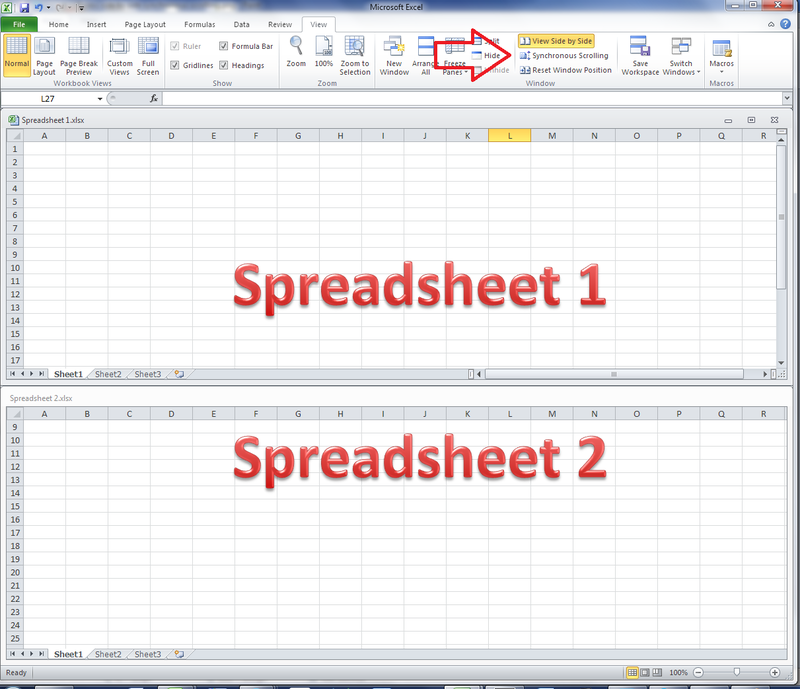 Move Spreadsheet 2 across to the right and Spreadsheet 1 will follow it. Grrr! 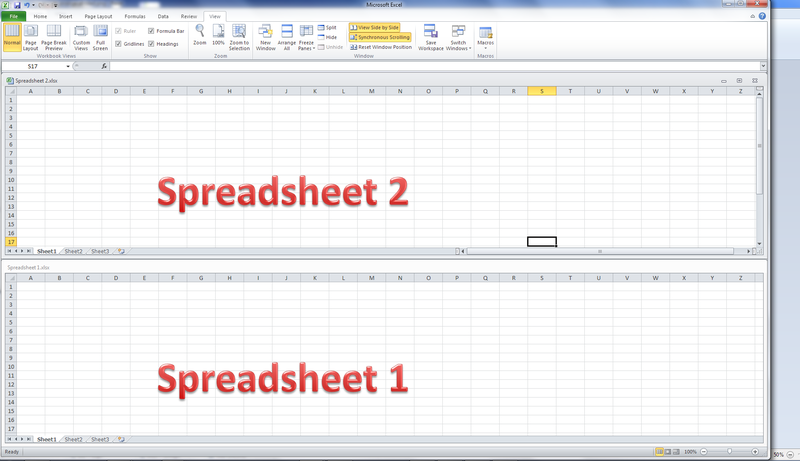 I’m going to show you how you can view both (or even lots of) spreadsheets on the same screen, in various arrangements, and then return to viewing only one. 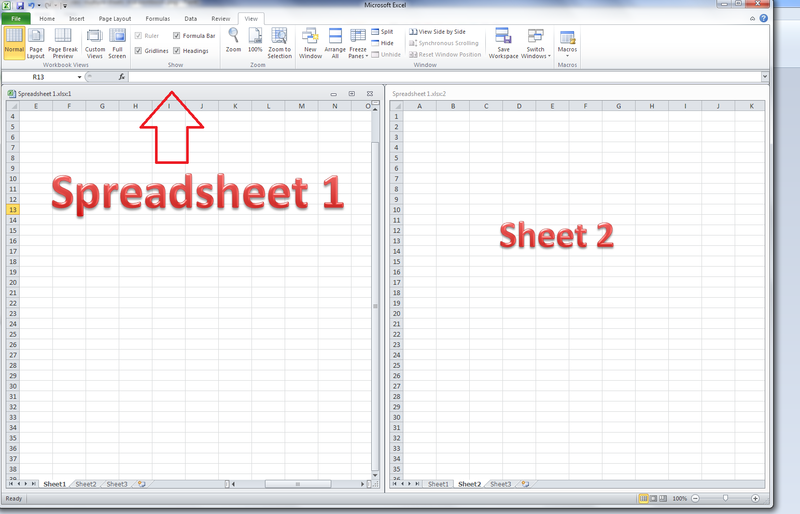 And next week I’ll show you how you can view two sheets from one workbook side by side. We’re going to look at the View tab here. In the View tab, you’ll find a button labelled View Side by Side. Note that synchronous scrolling only works in this View Side by Side option, so if that’s important to you, choose this option. 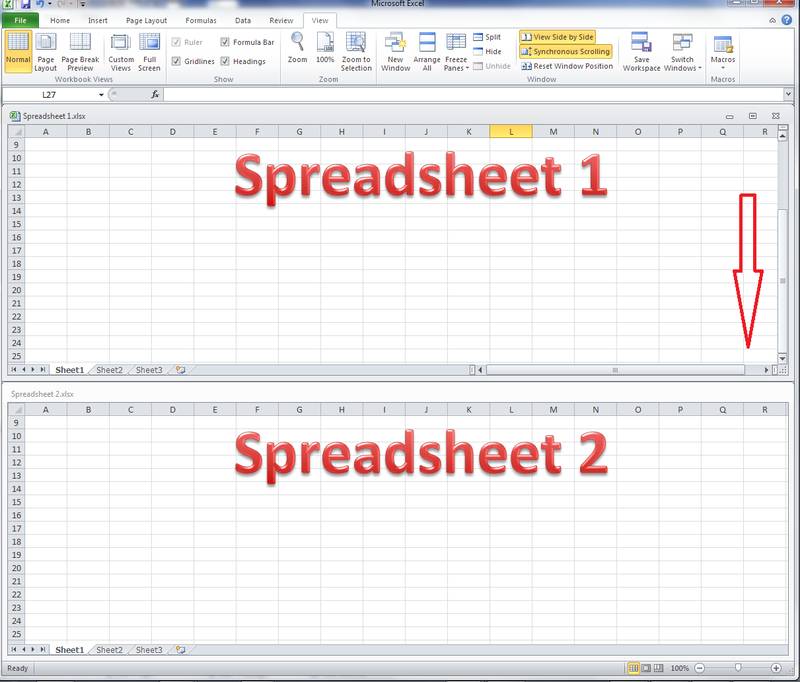 How do I view two spreadsheets next to each other or in a tiled layout? 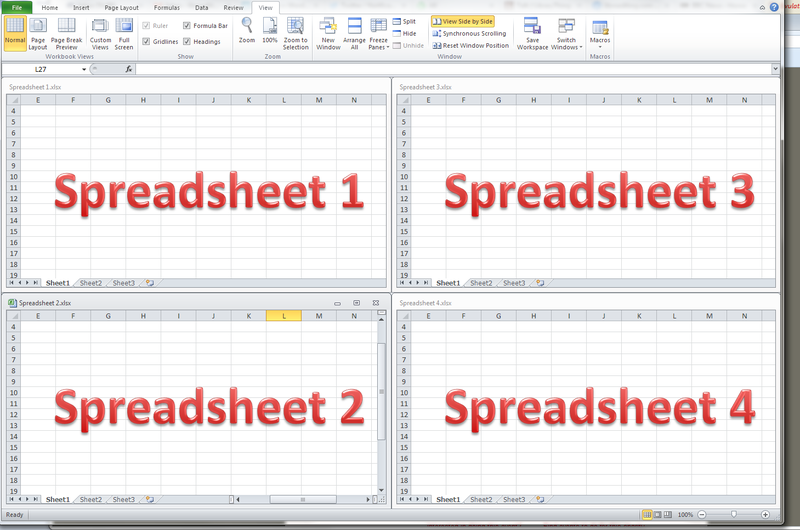 Note that the spreadsheets arrange themselves in the order in which you have them open, so if Spreadsheet 4 is the last one you looked at, that will appear top left. 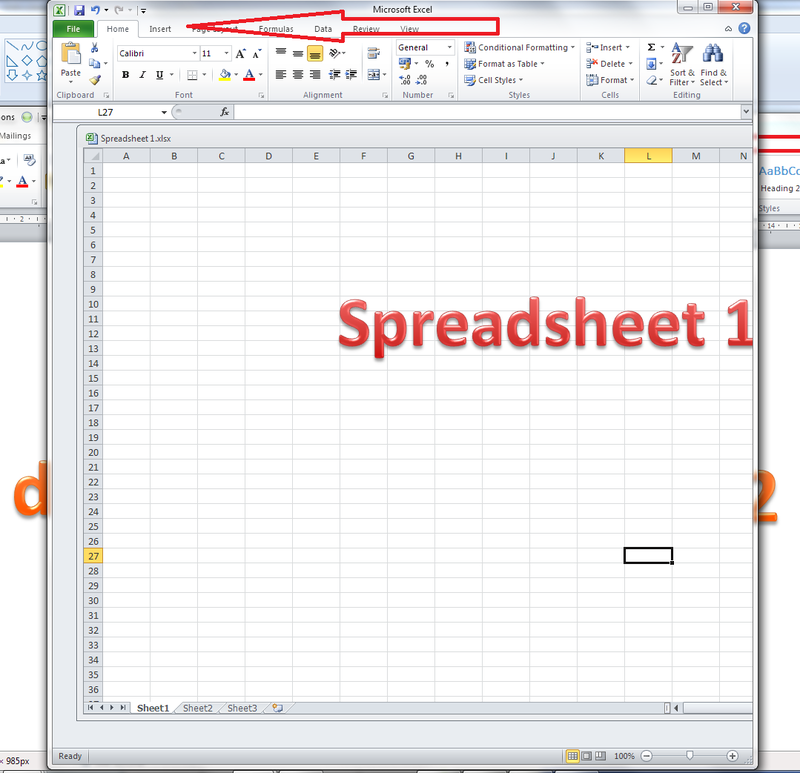 You can expand and move the individual spreadsheets, then return to Arrange All – Tiled to click them back into position again. 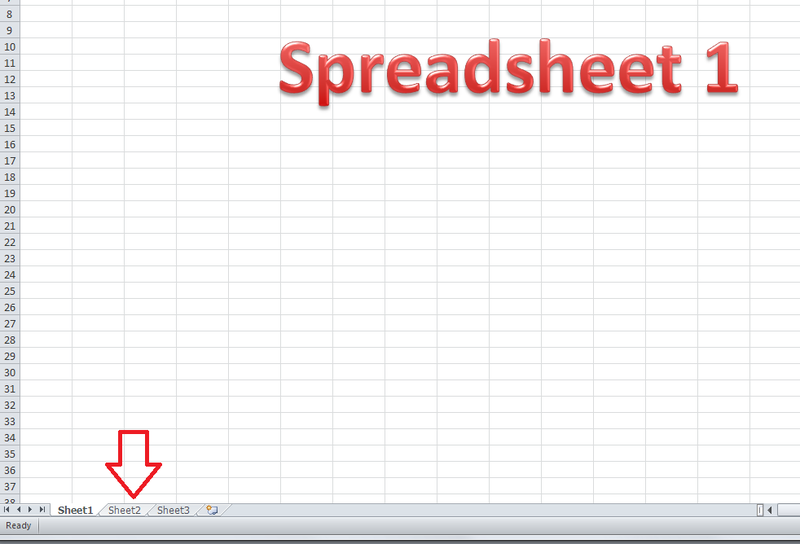 Note here that I had Spreadsheet 2 active (visible) when I chose this option, so it appears at the top. To choose which one appears at the top, have that particular spreadsheet visible and active when you click on the Arrange All button. This is how I prefer to view them. 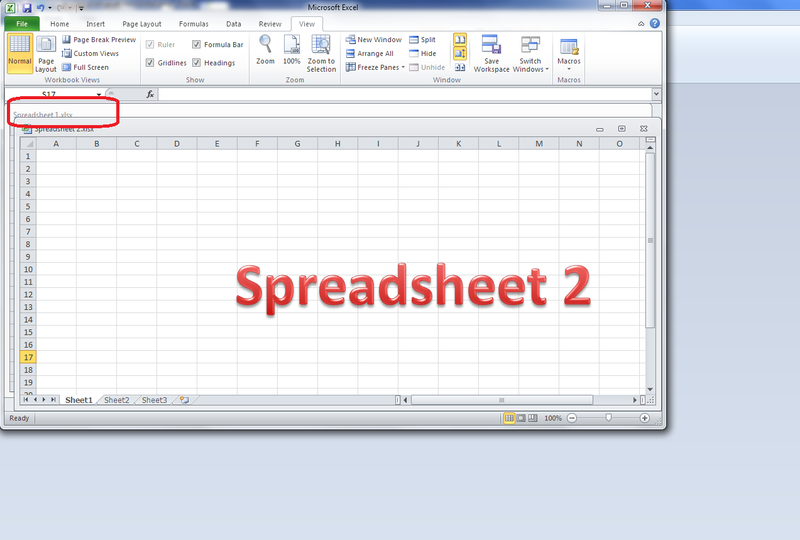 How do I get back to viewing only one spreadsheet at a time? 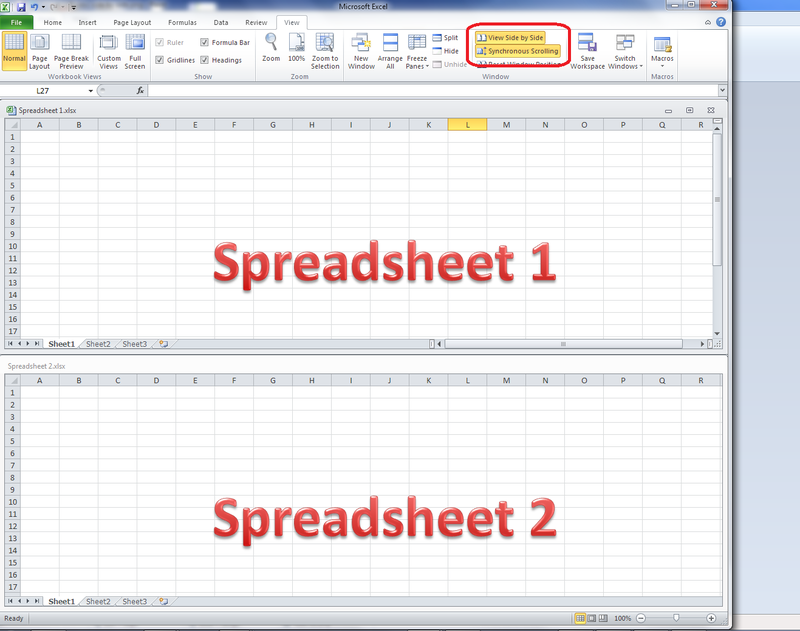 In this article, we’ve learned how to view two or more Excel spreadsheets on the screen at the same time, and how to return to a single spreadsheet view. Mailchimp is a very popular program for sending newsletters – mainly because it’s free to use to send newsletters and other messages to up to 12,000 emails per month to up to 2,000 subscribers. I use it myself, as do the people who write quite a few of the newsletters I subscribe to. If you use MailChimp yourself, this post helps you to avoid two common mistakes that I see occurring very frequently (and if you don’t use it yourself, I bet you see at least one of these in the newsletters you subscribe to – feel free to share this post with their creators!). … what can we see here? The email subject is simply “Newsletter”. Not that inviting. How often have you seen the second point and been confused or even tutted slightly to yourself? (Note: as a kind editor, I avoid tutting. But I do smile wryly every time I see it and think, “I really MUST write a blog post about that one”). How do these MailChimp mistakes come about? I’m going to assume here that you know how to set up and send a MailChimp newsletter campaign, and just concentrate on eliminating these errors. If you need a step-by-step MailChimp walkthrough, let me know in the comments and I’ll put one together for you if enough people want it. If you set up your very first campaign with a title like this, it will carry on sending it like that forever, but this is editable. I’m not going to go into ideas for good subject lines here – first off, MailChimp obviously provides a link to some further information, as you can see from the screenshot, but I’d like to take a moment here to mention my client Nathan Littleton’s book, “Delivered“, which has masses of information on creating a good email marketing campaign, including lots of advice on subject lines (he’s not sponsoring this post: I edited this book and I got loads of ideas from it which I’ve implemented in my own newsletter, to good effect). So, first things first: change that Email subject field to a good, interesting phrase and I’d like to bet that you’ll stop boring your subscriber list and get more opens. The second one is the dreaded “Use this area … ” text. How does it get there? And that’s where that text pulls from that displays in your recipients’ emails. Whatever the design, it’s always up there. Your eye is of course drawn to the main body of the email – the nice picture, the lovingly crafted text you’re going to place into the template. What do you need to do here? 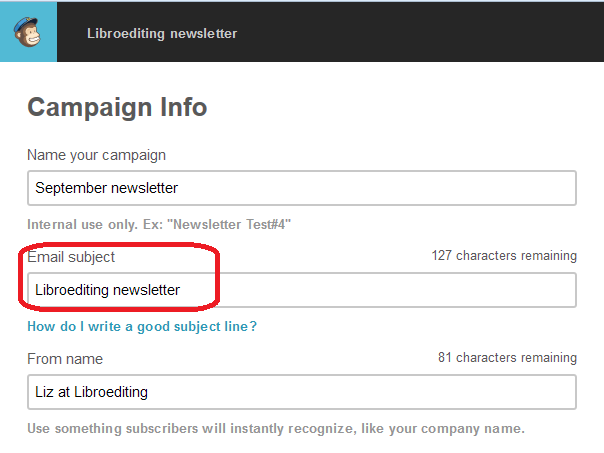 Simply click on that teaser text, just like you would to edit the main body of the newsletter, and you can enter whatever text you want to. I think you’ll agree that you’d be more likely to open that one .. and so will your newsletter recipients! In this article I’ve shared how to avoid two common MailChimp newsletter errors. Please do use the sharing buttons below to share this with anyone who you think might find it useful – thank you!